Formerly Atlantic Stud, Windchase is a professional Eventing yard based in the Highlands of Scotland, offering full, training and competition livery to clients both national and international. With a long history of highly sucessful horses their is no where better to produce your next champion. With access to some of the best facilities in the country and world class trainers and riders, their is no better place than Windchase Eventing to produce your next big star. We have a full time dedicated team of committed and caring staff, highly experienced across all aspects in the management and care of sports horses. We work with a team of specialists including vets, saddle fitters and nutritionalists to ensure the health and well being of our horses. 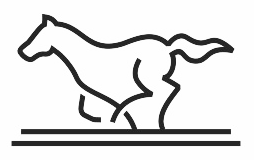 We offer a professional, truly exceptional service where each horse that joins our small team is treated as an individual, with its own bespoke routine and a care and training plan tailored to fit both you and your horse. We are specialists in Eventing, with over 50 years combined experience within the sport and a host of leaderboard topping names in our team. All our horses are produced in a kind and correct way, with their well being both physical and psychological being our top priority. From Blair Castle to Blenheim Palace our horses are regular competitors across the country and beyond, be it BE Novice to FEI International we've a rider and a space for any horse at any level of competition. Ok, So what is this? Outwardly this works the same as a traditional livery - you send me your horses file and I enter it in shows for you. However the focus of this 'service' is first and foremost the story; to help me improve my writing and screenshots, as well as to hopefully encourage a few others to take a more story focused approach to their own games. All my loans will have screenshots and scrapbook updates about their lives with me, detailing their training and success (or not!) as a competitor. I want to work with other people and come up with a story together, and to hopefully bring back a little bit of that much missed creativity. A horse you are actually interested in. Please don't waste my time by offering a horse you aren't interested in, and don't intend to ever post pictures of once the loan is done. If the horse is just another number among hundreds then their are other great livery services that would better suit. 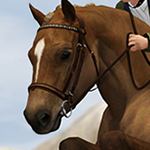 You must have a description of the horses character; what is its personality? what does it need to work on in training? whats it's history? I want to know everything. You can be as creative as you want, and in character/role play applications are more than welcome. The horse must be on the main site and registered (I will not do this! ), and must have had a picture of it posted somewhere, such as a scrapbook update, tumblr post or a C show entry. This is to prevent people impulsively applying. I use an injury/illness generator. As such horses may be injured or fall ill during their stay, but will still enter R shows as they happen in an alternate dimension. They won't die, or suffer competition ending injuries (unless you are up for that). Patience and respect. At the end of the day we are all humans and all have our off days and life behind the screen. Don't expect amazingly edited pictures or first places in every show. No Payment, feel free to give me whatever you feel the service was worth, be it in the form of money, markings, breedings or whatever the heck else. If you are interested then feel free to message me either here or on Slack (slack much preferred!) and we'll work it out from there, please send unedited pictures of the horse so I can see how it looks. This isn't time based and isn't first come first serve; I will choose the horses that interest me, so please don't be offended if I don't choose you.